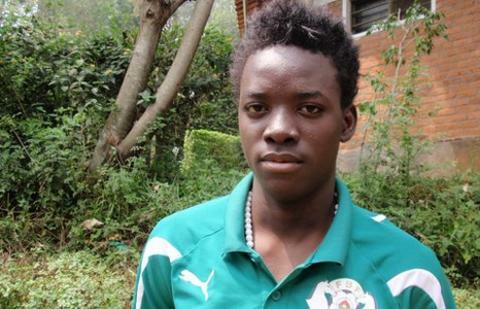 Burkina Faso coach Paulo Duarte has named 16-year-old Bertrand Traore in his final 23-man squad for the Africa Cup of Nations. Traore won his first cap for Burkina Faso in a friendly in September. The midfielder once spent six weeks on trial with English Premier League club Chelsea, but is no longer with them. His older brother Alain, who plays at AJ Auxerre in France, was also included in the final 23-man squad for the finals in Equatorial Guinea and Gabon. The Stallions are preparing in Cameroon and will play a friendly against their hosts on Friday. Burkina Faso's participation at the finals was only confirmed on Tuesday as the Court of Arbitration dismissed a case brought by Namibia over the eligibilty of defender Herve Zengue. The Cameroon-born Zengue has not been included in the squad for the Nations Cup. If the younger Traore features in his country's opening game of the Nations Cup against Angola in Malabo on 22 January he will become the third youngest player ever at the finals. The record was set at the 2000 finals by Gabonese Shiva Star Nzigou, who was 16 years, two months and 30 days old when he took to the field against South Africa in Kumasi, Ghana and scored. Former Inter Milan striker Mohamed Kallon was 15 when he first played in the qualifiers and aged 16 years, three months and nine days old when he came on as a substitute in Sierra Leone's first game at the 1996 finals in South Africa. Duarte also added Malta-based fullback Saidou Mady Panandetiguiri and striker Prejuce Nakoulma of Polish club Gornik Zabrze to the squad at the last moment after injuries. As well as Angola, Burkina Faso are set to play Ivory Coast and Sudan in Group B at the finals.